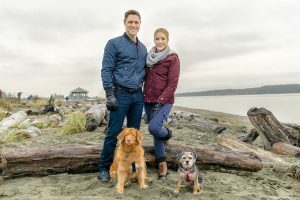 Sam Page is back for his second Valentine’s Day Hallmark Channel movie in a row (after last year’s All Things Valentine) with Saturday’s Walking The Dog, opposite Jennifer Finnigan, who we last saw in 2015’s Angel of Christmas. Here, she plays Kristie, an attorney and lifelong resident of a picturesque town who takes the town council on in a courtroom battle for a bike lane. As it happens, her opposing counsel is Seattle attorney, Keith, who she meets cute beforehand when their dogs strike each other’s fancy out on the beach. Kristie is technically unavailable, having been in a two-year relationship with local vet Bill (Aurora Teagarden‘s Peter Benson), but that doesn’t prevent her interest from being piqued, so we get the parallel stories of her figuring our her new relationship with her dog, Gidget, who she’s fostering for one of Bill’s clients, and Keith, who’s not quite as citified as he might seem. We also get the sweet story of Kristie’s Mom, Barb (Lini Evans from last year’s Stop The Wedding), who’s surprised and delighted by a sudden secret admirer. 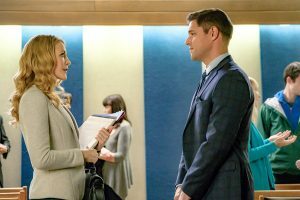 And Kristie’s legal assistant Delia (Kimberly Sustad in a role very similar to her role in the aforementioned All Things Valentine with Page) finds herself in an awkward predicament about new feelings. It’s another sweet holiday-themed movie (with dogs!) 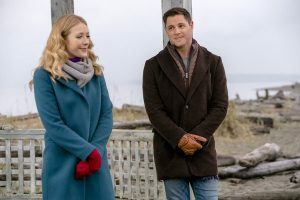 without any true bad guys, although Van Helsing‘s Hilary Jardine gives it a go as Keith’s Seattle colleague, Laura, who’s not terribly happy about potentially losing him to the pull of the small town dark side. There are a handful of other familiar faces sprinkled throughout, too. Gary Harvey directs a first-time script by Ron Cutler. 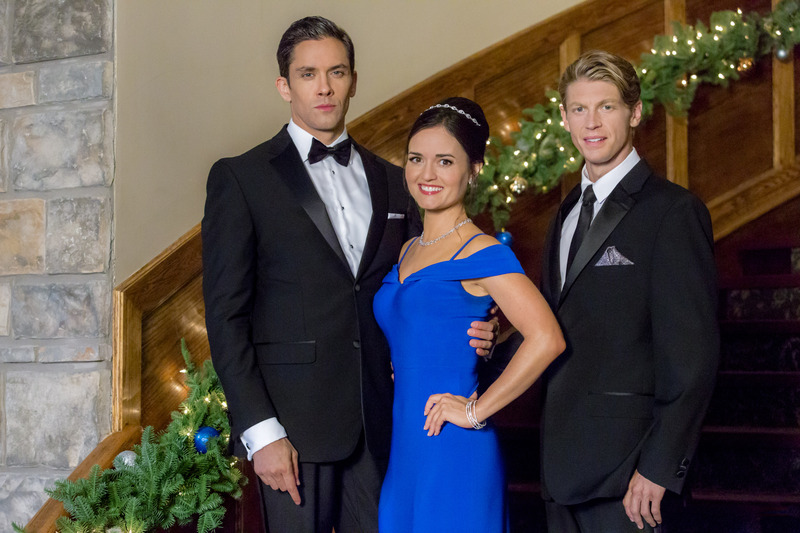 Walking The Dog premieres Saturday at 9/8c on Hallmark Channel and repeats throughout the month. Here’s a sneak peek.